A Downside to Dynamic Soaring? 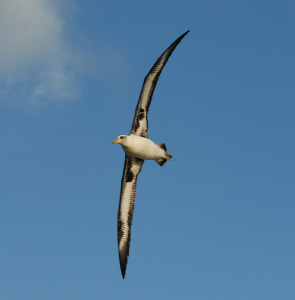 Dynamic soaring is the ability that allows albatrosses to travel great distances without constantly expending energy to flap their wings. Due to it, some birds are even able to fly around the entire Southern Ocean in only 46 days. However, this same evolutionary adaptation may restrict the range of environments that the various (endangered) species of albatross can inhabit. As albatrosses rely solely upon the wind to keep them aloft and propel their flight while seldom flapping their wings, they can live only in environments in which the average wind speed has the optimum magnitude for flight. 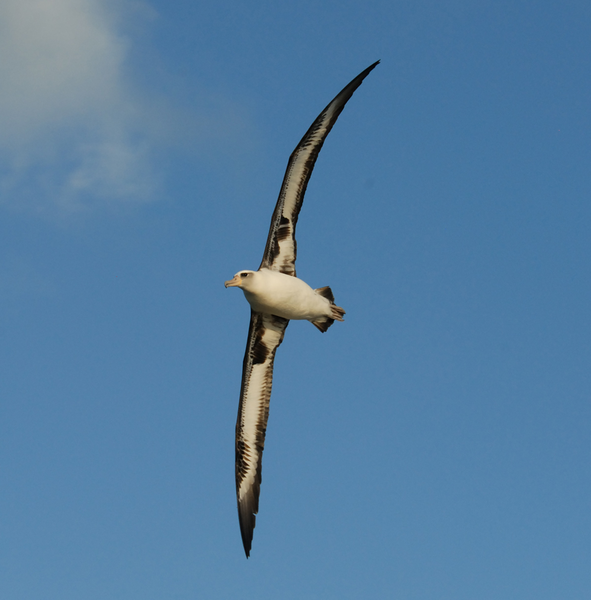 This optimum magnitude differs from species to species, depending upon the wing loading of the species, which can vary substantially among the albatross family. Let us consider two species in particular: the short-tailed albatross (Phoebastria albatrus)and the waved albatross (Phoebastria irrorata). The short-tailed albatross is unique due to its abnormally high wing loading compared to other species of albatross. 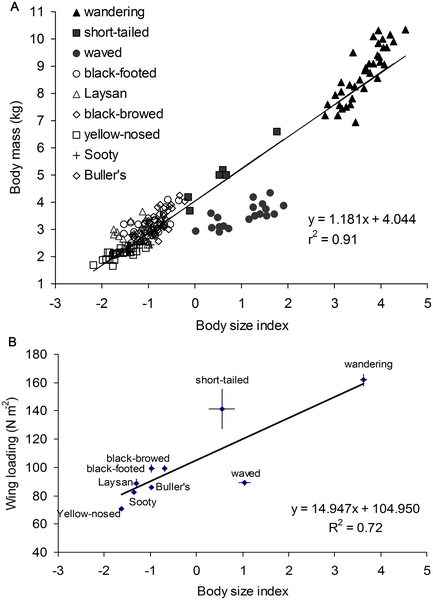 In contrast, the waved albatross has an unusually low wing loading compared to the other species of albatross. Although both species are similar in body size, the short tailed albatross needs wind at a greater speed to remain airborne than does the waved albatross. 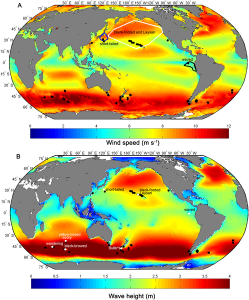 Unsurprisingly, a study involving satellite tracking of various individuals of the species revealed that throughout the year, the waved albatross soars in winds of substantially lower speed than does the short-tailed albatross. There is an especially large difference between the speeds of the winds in which short-tailed albatrosses and waved albatrosses fly during the breeding season, with the former navigating gusts ranging from 9 to 11m/s and the latter flying in winds between 5 and 6m/s. These results agree with the equation for lift. The lift is equal to the weight for steady level flight. Thus it is clear that velocity must increase as wing loading increases, a relationship that the results of the study confirm. 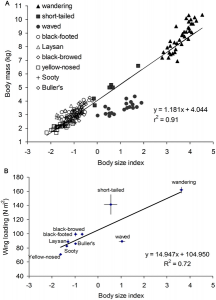 So because the short-tailed albatross and the waved albatross have such abnormally high and low wing loading, respectively, they can live in only the areas of the world that have the wind speeds that their wing loading necessitates. For the short-tailed albatross, this area is a region south of Japan, and for the waved albatross, it is a region to the west of the coast of Peru. Unfortunately, many of these habitats may disappear due to rising sea levels. 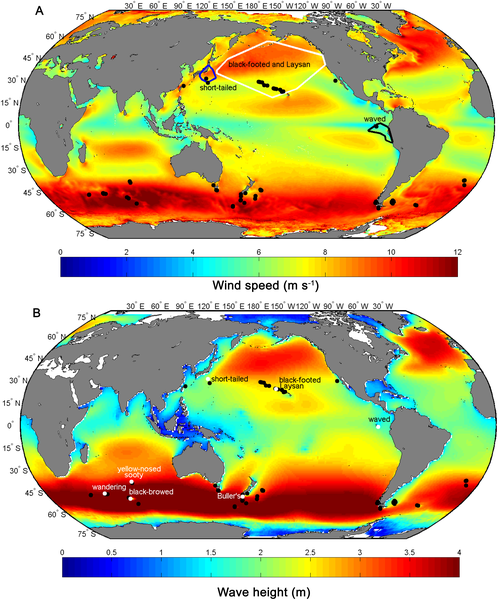 Therefore, while dynamic soaring is an advantage that allows various species of albatross to fly without exerting energy to flap their wings, it is simultaneously a disadvantage that prevents those species from living in other parts of the world that are not in danger of vanishing beneath the sea.